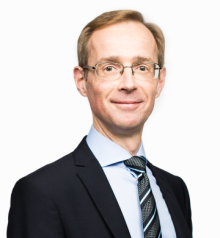 Robert is Chief Economist at SEB since 2007, and has been with the bank since 1997. In 1988 to 1997 he was responsible for the Riksbank's monetary and currency policies analysis, among other positions. There he also agreed to bump interest rates to 500% during the 1992 Swedish Krona defence. Educated economist at Linköping University.